We just got word that Silence! will continue in New York at the Electra Theatre. Tickets are available for shows through Sep. 1. Here's the first trailer for Winter in the Blood. Hannibal — the singing cannibal — Lecter is coming to Los Angeles, premiering Sep. 1 at the Hayworth Theatre! Fear not, East Coast: SILENCE! is still running in Times Square. Read more about SILENCE! The Musical. Kitefliers Studios announced that it has formed a partnership with film producer Robert Ogden Barnum to produce a slate of three films for major theatrical release, starting production in 2013. Read more. Not only has SILENCE! The Musical reached the one year mark Off Broadway (which alone is impressive), but it is moving to a brand new space: the new Elektra Theatre in the heart of Times Square next Wednesday, July 18th. Read more! SILENCE! earned Best Actor in a Musical (Brent Barrett), Ensemble in a Musical, Director (Christopher Gattelli), and Choreographer (Gattelli). Congrats to SILENCE! The Musical, which won Best New Musical in the Off Broadway Alliance Award! 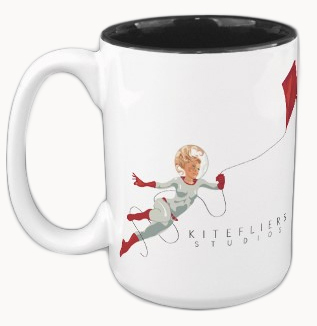 That's right: now you can drink your coffee out of your very own Kitefliers Studios coffee mugs! No kidding: they're really cool and very well made. We have our own and couldn't help but share the grooviness. Hats off to SILENCE! The Musical, which has been nominated for an Off Broadway Alliance Award for Best New Musical. SILENCE! Hits 200 and Wins a Telly! Earning a 2012 Telly Award for Use of Humor in a Television Commercial. Check out the commercial. We just got back from a great trip to New York to watch the cast and crew of Clutter wrap their third week of production. It's going to be a great film! We are very proud to announce that SILENCE! The Musical has been nominated for two Lucille Lortel awards: Best Musical and Best Choreography. Also, check out the interview with Clutter director Diane Crespo. Here's the new commercial for SILENCE! The Musical. 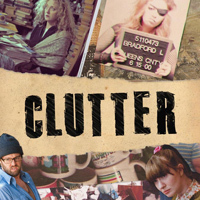 We are proud to announce that Kitefliers Studios will Co-Executive Produce Clutter, from writer Paul Marcarelli, and produced by Marcarelli and Molly Pearson of Table Ten Films. 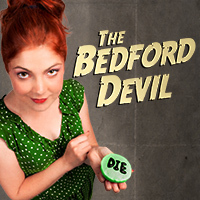 Here's the latest trailer for our short film, The Bedford Devil.